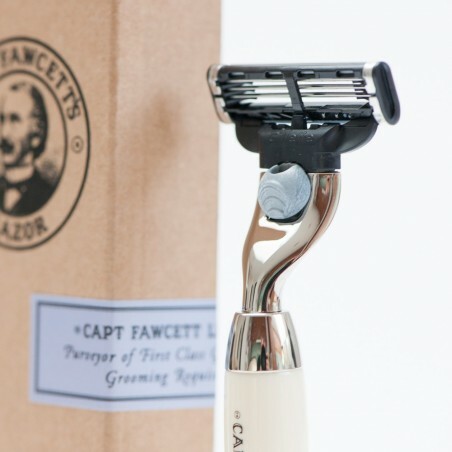 Captain Fawcett Finest Hand Safety Razor Mach3. 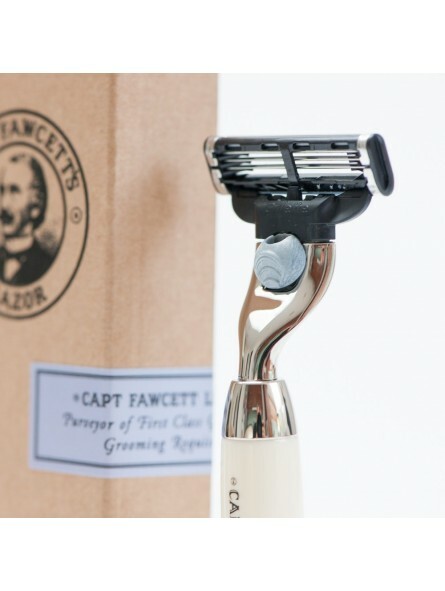 Captain Fawcett’s preferred safety razor, yet another invention of the illustrious Edwardian Era has been brought completely up to date with the introduction of this beautifully crafted razor. You will discover that the Captain’s perfectly balanced razor ensures a quite magnificent shave and is simply a delight to use.